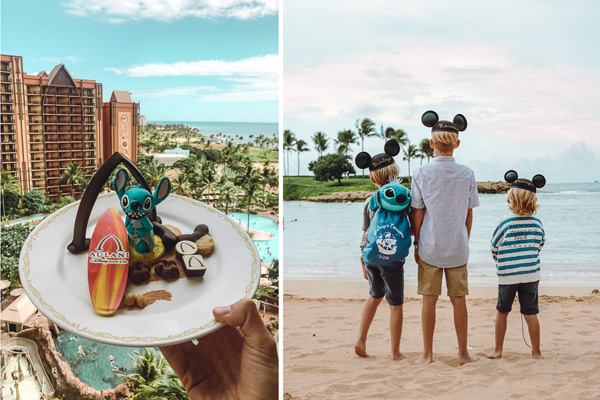 We had the pleasure of Traveling to Disney's Aulani for their Mahalo Season. We are thankful to have teamed up with Disney once again for an amazing experience. Though this trip was a partnership, all thoughts and opinions are my own. 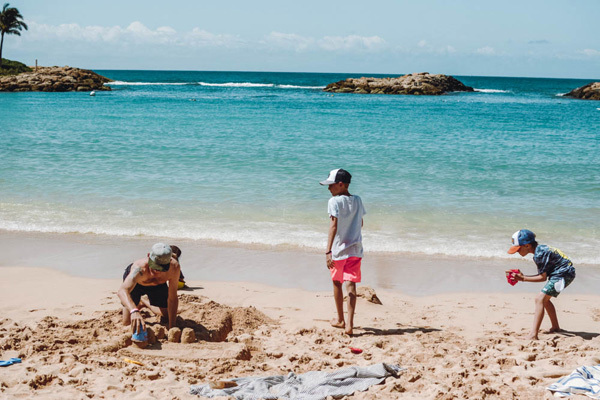 We also added on extra days and activities at Aulani our own expense. 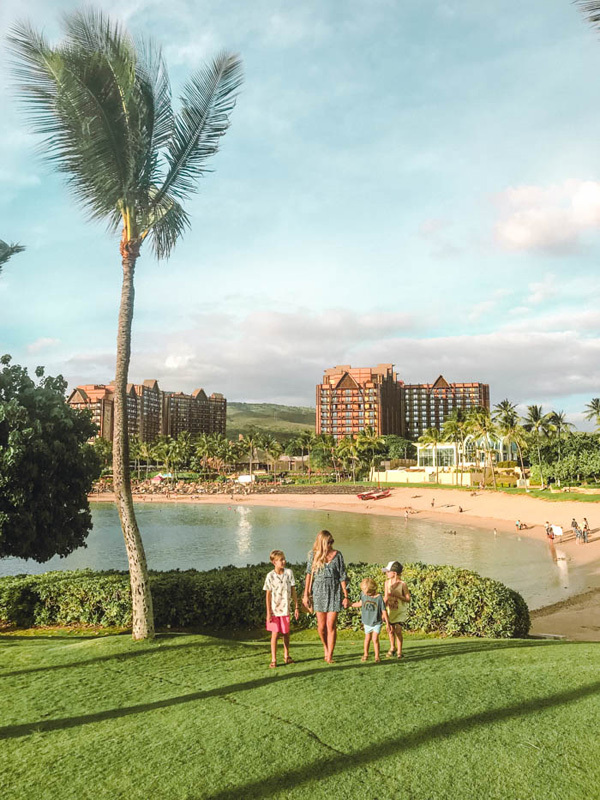 Disney's Aulani is an experience that is completely set apart from any other Disney Destination. 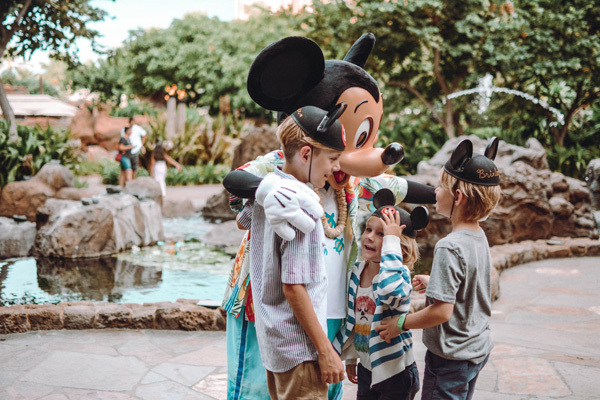 I am excited to share my family guide on what to do while staying at Aulani! 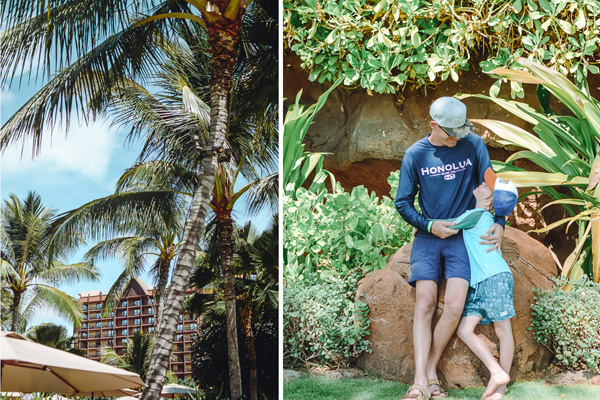 We were there during Aulani's Mahalo Season which was the perfect time to get one last week of summer before coming home to fall. I am so thankful we had this experience, it came at just the right time for us. 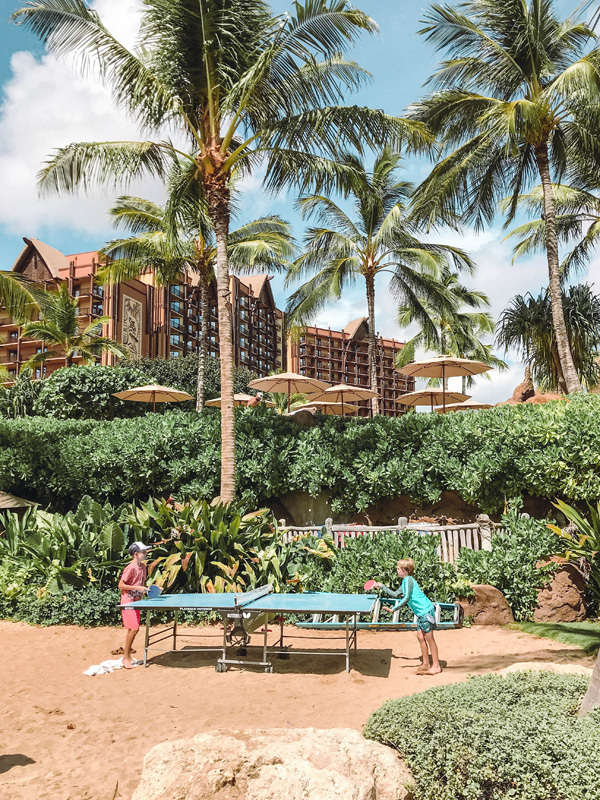 If you're not familiar with Aulani, it is a Disney Resort on the Island of O'Ahu and is highly geared towards families and Disney Vacation Club Members. 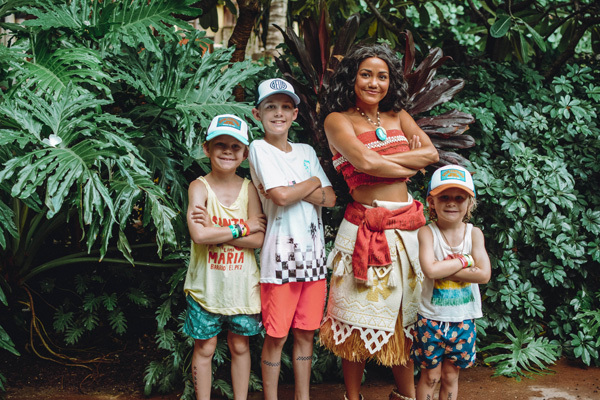 Aulani is inspired by Disney's family friendly travel ideas, but those Disney themes we are familiar with take a back seat to the Native Hawaiian themes and culture that immerse you throughout your stay - giving you the best of both worlds. 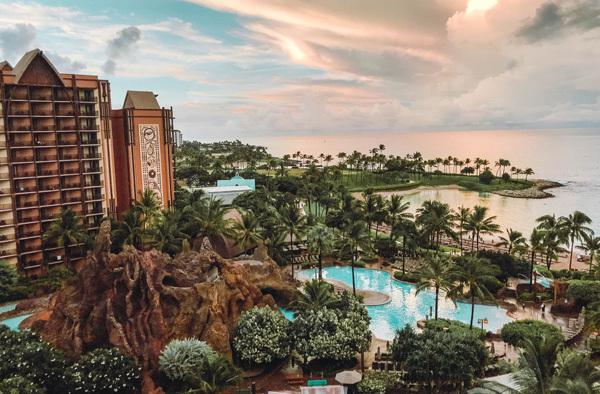 The Hawaiian atmosphere and resort-style are more relaxing than any Disney destination you've ever encountered. It is definitely worth putting it on your "family travel" list, especially for those of you who think the parks look overwhelming! I encourage you to pop over to my Instagram and view my saved stories to get a more interactive feel of Aulani and what they offer! Traveling to Hawaii has been a dream of mine for some time, the rich culture and the Hawaiian connection with The Land is something I have been curious about. If you have followed my blog or IG, you will know how much connecting to new places means to me. 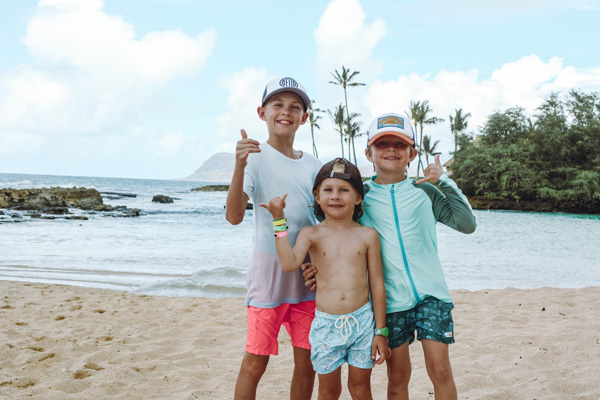 I am so grateful that my first experience with Hawaii was tandem with staying at Disney's Aulani, as it was a deeply cultural experience for our kids, giving them a taste of what Hawaii is truly about. It's an important part of travel, to share the different experiences with my children. That is one thing that constantly draws me to Disney, they trust their brand strongly enough that they aren't scared to let other themes and elements take a staring role in their travel stories. 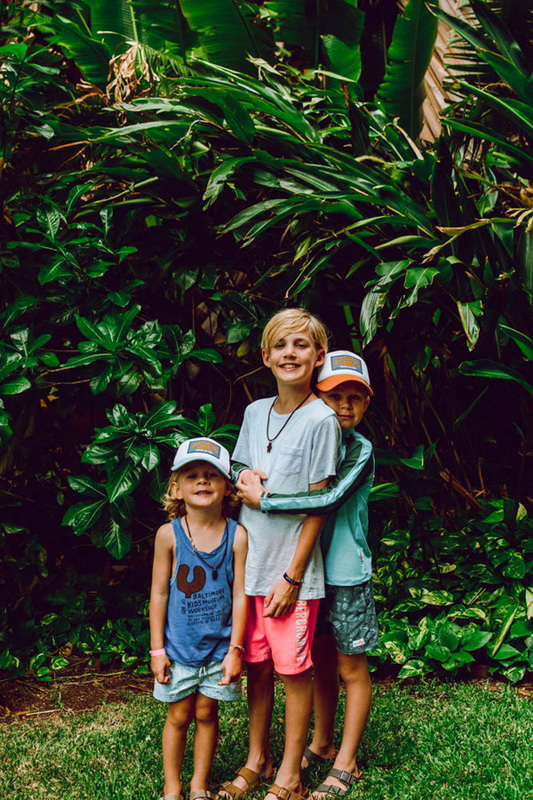 From the moment you step out of your car you are surrounded by deep wood tones that mimic the inside of a canoe (how Hawaii was discovered) and lush gardens that immediately make you feel transported into a new place. The colorful murals in the lobby guide you straight back to the stunning open, ocean views. There is so much warmth, texture, and culture immediately engulfing you - reminding you that you are in a truly special place. There are small details of Disney intertwined, like the subtle translation of your favorite songs into an authentic Hawaiian musical experience, honestly the Disney themes were so subtly trickled in you could almost miss them entirely! I encourage you to take this tour to learn about the art on the property. With that, it still had the family friendly atmosphere and magic that Disney is known for. 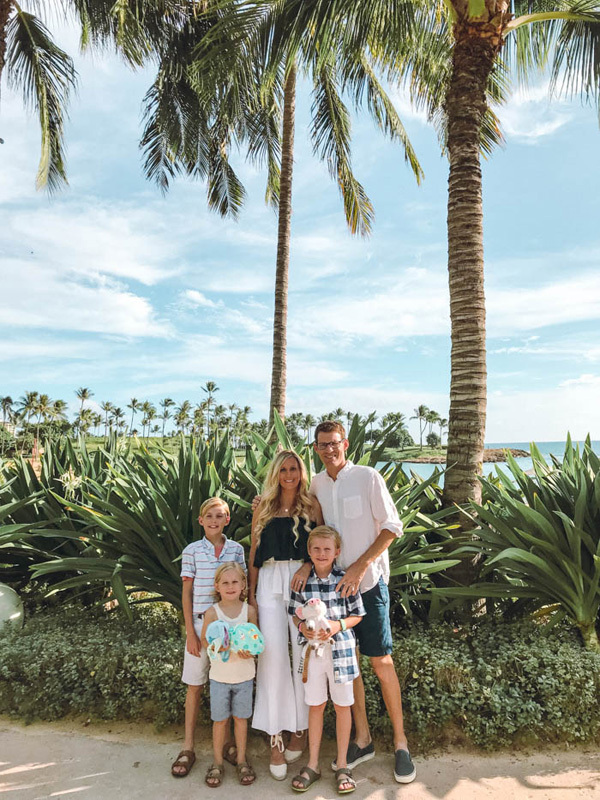 Staying at a family-friendly place helps me give my kids more freedom around the resort. It is the most relaxed and at ease that I have felt when traveling. I tend to try and pack a lot of things in to our trips, it was amazing to let go of that expectation and just take time to experience Hawaii. Let's not forget those stunning sunsets! There is something truly sacred about this place - I don't know how to put it to words. Was there enough to do? 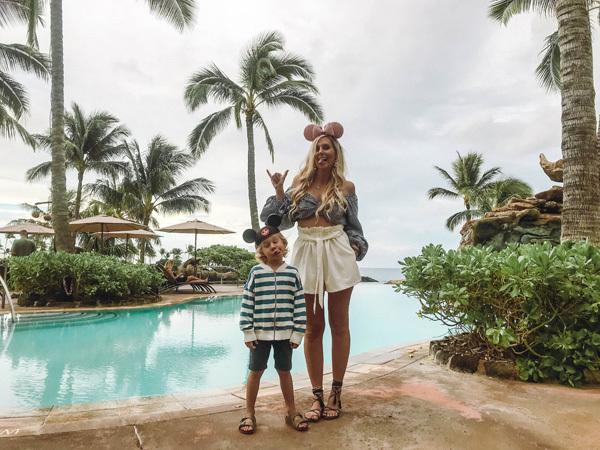 We have never, in all of our travels, stayed in one spot for more than 4 days, and it truly was the most amazing feeling to make Aulani home for the entire week. I was worried we would get bored of being in one spot, and that feeling left me as soon as we stepped foot onto the balcony of our One Bedroom Villa and looked out at the sprawling pool and ocean views. Staying put allowed us to experience Aulani fully and to make so many great friends and memories. Knowing Disney, I was sure there was going to be enough activities on the resort that our boys would enjoy every moment. Having a full kitchen in our Villa made a huge impact as we ate breakfast in there most mornings since we were up so early due to the time change. We also utilized Aunty's Beach House, the kids club, so that Andy and I could get some alone moments - Hawaii is a ROMANTIC place!! Honestly, we had so much fun as a family that we truly spent most of our time altogether making memories and just hanging out without big plans. We were there 8 days and 7 nights, which left time for us to explore O'ahu 2 days. 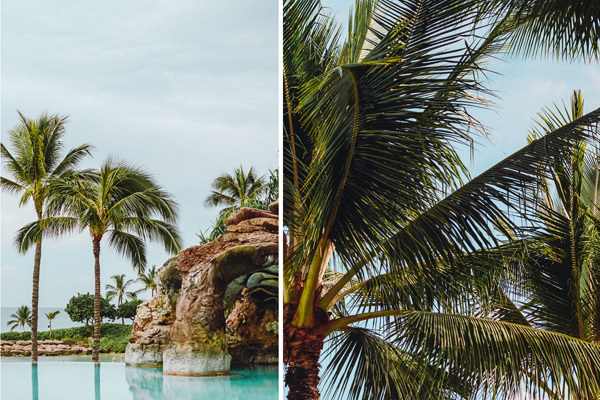 It was nice to see other parts of Hawaii, but it definitely made us grateful to stay at Aulani, the beach and the location were ideal. There truly wasn't much reason to leave the resort. There are also some great pathways to walk by the beach. There is a nice shopping and dining area walkable from the resort that had great gifts and food. We even walked to a beach just a few minutes away and it felt completely different from Aulani. It was nice that the resort offered so much, but the location gave you some different options if you're staying for a longer period of time! Here are some favorite foods you should definitely try. The Açai Bowl from Ulu's cafe was my breakfast choice - it is definitely big enough to share. Ulu's also has the refillable popcorn buckets which we love to collect. Pāpālua Shaved Ice - the Mickey Ears are worth the added cost, it's the best perk of being on a Disney property! We also loved adding an ice cream scoop to make our shaved ice more creamy. 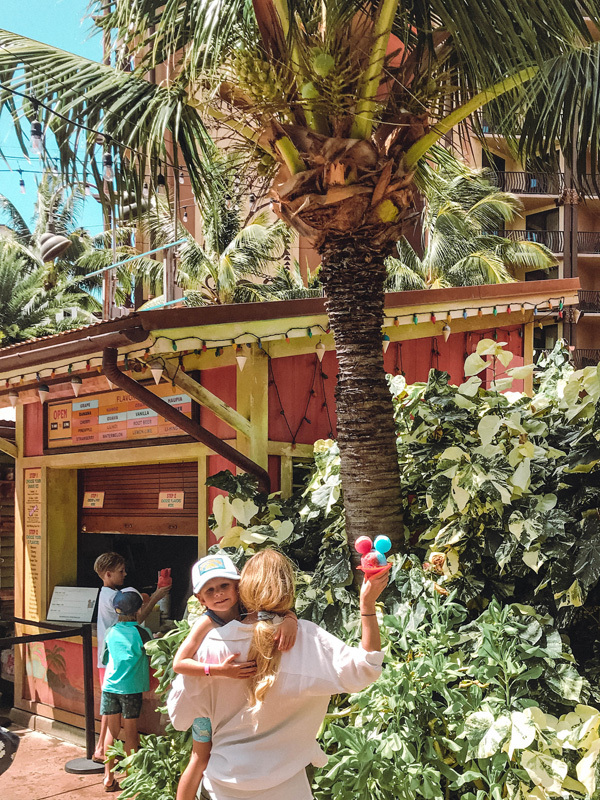 The coconut shrimp from Mama's Snack Shop was Rowan's favorite lunch, he asked for it every day. I love the hand carved wood in the 'Ōlelo room - I was also told that a lot of locals stop in, you can catch them speaking in Hawaiian. It is definitely worth stopping in for the live music at night! 'AMA 'AMA had an amazing view of the Sunset! That alone made it a perfect dinner stop. I also enjoyed their Salmon and Filet. It was nice to have one formal sit-down evening at the resort. We brought the kids, but you could definitely plan things right and drop them at Aunty's Beach House if you want a romantic evening alone. We also like walking across the street once in a while to the local market for snacks to bring to our room, and the Island Vintage Coffee shop is a great place to bring back some local gifts for friends! Pool or Beach? What should I expect? We split our time equally between the pool and beach. Andy and I preferred the natural beach, as the kids preferred the pools. 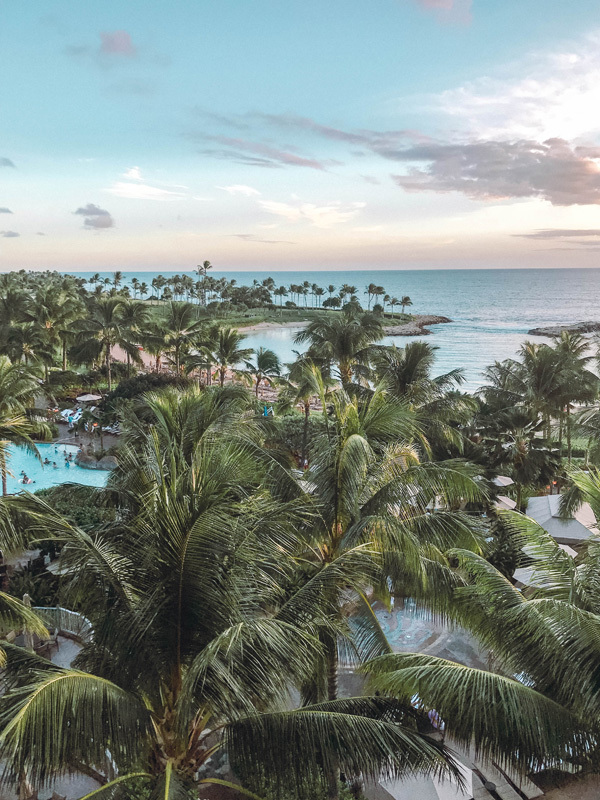 From the water slides, to the breathtaking infinity pool (overlooking the ocean), to the shallow-hot-tub-coves tucked away between the pools there was so much to experience for all ages. I don't blame the kids for wanting to be at the pools. They always met new friends wherever they went, and there was so much ground to cover that it felt new every day. A certain Disney pal some times visits the pools for an extra fun surprise which is super cute, too! I thought it would be crowded with it being a family friendly space, and it honestly never felt that way! There were enough chairs for everyone to find a spot and complimentary life jackets for smaller resort guests, which came in handy for Wrennyn! We never had any issues with things feeling packed in or being stuck in lines. I personally loved the beach because of the stunning views of Ko Olina! Aulani is on the West side of the Island which is about 20 minutes from major Tourist hubs, this made it extremely relaxing and more laid back. I couldn't believe how quiet the beach was, I felt like most families chose the pools leaving the sandy beach for us to take! It also made for amazing photos since there were so many quiet moments at the beach. There is just something about those natural textures and sun-filled-skies that always gets me. The Beach areas had complimentary sand toys and boogie boards which we were constantly putting to use! Andy and I loved to hop on the Boogie Boards and paddle our way out for even more brilliant views of the property. The beach was calm enough that we felt really confident with the boys in the water, which is rare as we don't live by the ocean and it can feel overwhelming some times. We never experienced that at Aulani! We even had a seal visit the beach and Rowan was the first one to spot him making his way ashore! There are other activities you can do at an additional cost and one of them is renting snorkel equipment and exploring Rainbow Reef, I highly recommend this. Our kids love to tell everyone about all the fish they were able to swim with and see! It was a great way to break up being at the pool. (the sunrise view from our Disney Vacation Club Villa balcony. Select activities that we experienced took some advance planning. Such as the Character Breakfast, Painted Sky Boutique, and the KA WA‘A Luau. These events are an additional cost, but I think they're special enough to add valuable memories. They do have limited spots, so you should seriously consider booking them in advance if you're traveling to Aulani. 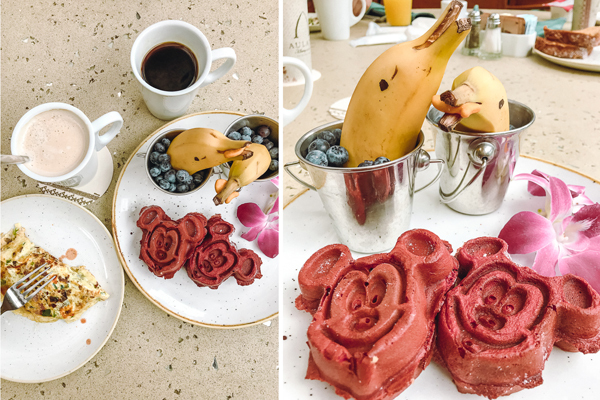 The Makahiki character breakfast was one of our very few interactions with the Disney themes and characters, so it was definitely worth doing! Seeing your 5 year old crying out "Minnie Mouse!!!" and leaping from his seat to hug Minnie is something you won't forget. It is those moments that remind me of the extra magic in the world, and it's all we can do to tuck that feeling away and try to to remember our kids in that moment. They also had "Aunty" rounding the tables and singing Hawaiian songs which was really sweet, she gathered the small kids together for a dance while others finish off their meals. I would say ages 3-9 are prime years for these interactions. Wrennyn and Brinley were beaming at all the interactions. Characters aside, the food was such a good change of pace, they had some really fun Aulani themes to them along with classic Disney breakfast foods. I got to taste the selectively served Red Velvet Mickey Waffles which were even more tasty than they were photogenic! The Dolphin fruits bowls were a personal favorite. I also loved having one morning that was a little more drawn out and special. We were eating breakfast in our room quite a bit, so this was such a nice experience to sit down and change the scenery. Unfortunately, due to weather our Luau was cancelled, but the Disney team gave us a small taste of what it was all about. I am already hoping to go back and fully experience the Luau. The food alone was amazing, and I have heard from friends that the cultural experience of the KA WA'A and the story that is shared during the Luau is worth the trip - we are so sad we only got to experience a small piece of what it's all about, but we feel lucky to even have had a glimpse of it. I am glad we had it booked, because if the weather had worked in our favor I know it would have been something I would remember forever. Rowan being a bit older, this was something he was looking most forward to - I love that it appealed to him! Painted Sky Boutique was something we did on the day our Luau was scheduled. It is a design studio much like Bibbidi Bobbidi Boutique, but it is geared towards Hawaiian Cultures and themes. The boys loved getting tattoos and color in their hair. I will admit I was scared with how light their hair was that it wouldn't wash out fully, don't you worry, it washes out without any problems - it just might take an extra shampoo or two. Wrennyn was a prime age for this, being 5 he was completely wrapped up in the transformation! He has changed in to his Hawaiian shirt and fish hook necklace every day since we got home. He loves it! Rowan, being at the older end, still loved it and I am grateful he experienced it. If it were just him alone, he may have skipped it, but since he was with his younger brothers that definitely helped bring out the magic of the experience. I know he would have regretted not doing it, and he definitely loved the tribal style tattoos! The cost of things on the Island are a bit more expensive since they are detached from the mainland. Having a full kitchen in our Villa was so helpful. We stocked up on waters and refrigerated snacks to avoid some of those costs while we were on the resort. We often ate breakfast in the room and had lunch and dinner out. We had access to a full stove, so we definitely could have done more meals in our room, but we wanted to experience Hawaii as best we could. This is a question I got multiple times. I don't think there is a way to answer this for someone else and their family. Everyone has different situations and expectations. I had been looking at Aulani for a while and dreaming of going. Though we were kindly invited for part of our stay, we also added on to the itinerary and paid all the additional costs to stay multiple extra days. It is an investment. To me the memories and location were something that meant a lot to me. It is a higher end resort, and it definitely was treated as such. We felt very taken care of, very looked after. It was very special our entire stay. There was so much to do. I loved that it wasn't part of the bigger Tourist locations on the Island. 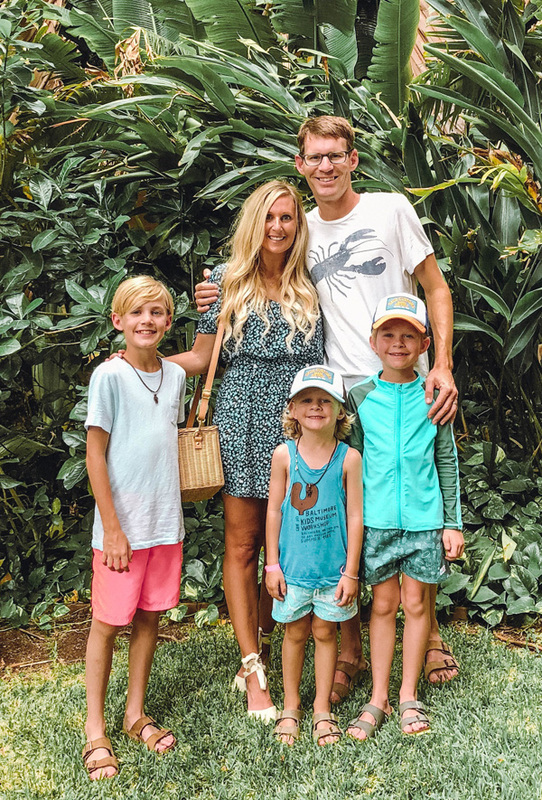 O'ahu was a place I really wanted to visit and I did feel like this was the ideal first experience for our family in Hawaii. The flight is a bit longer for us coming from Minnesota, so I knew we wanted to make this trip special without feeling like we were just at a place for kids. It lived up to everything that I hoped it would be. It was cultural, romantic, sacred, and just a touch of Disney. I talked to multiple families who had been coming for years, I felt like that says a lot. I would do it all over again in a heartbeat! Andy and I can already see the shift in Rowan as he has hit middle school and becoming more of a teenager, we know these opportunities to be together with all 5 of us in a special place won't last forever. I think exposing our children to travel and culture is worth some of the sacrifices we make back at home. Building memories, moments, and bonds is something that is really hard to put a price limit on. 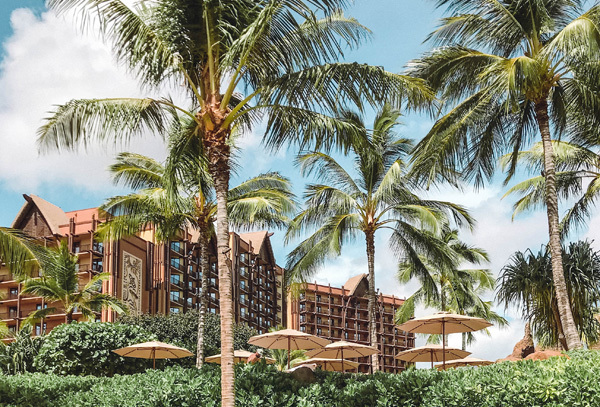 As always, I am so thankful to be able to share with you guys, if you are booking a trip to Aulani or thinking about it, please reach out - I love to share our insight and tips about travel. I am open to sharing honest feedback with you personally if you prefer to email. Don't be scared to ask, there is so much to consider when traveling with your family! What a wonderful journal of all you experienced on the trip! Disney sure knows how to bring the fun!!! 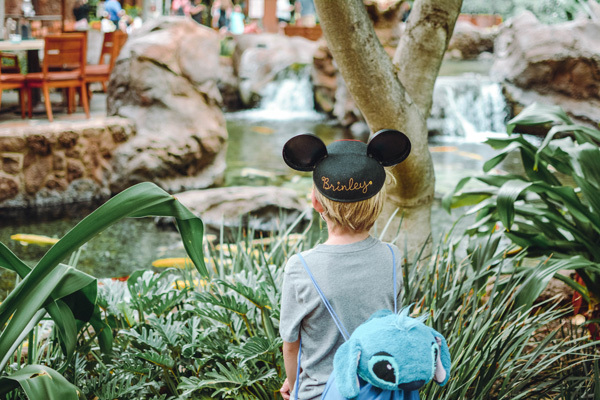 Far-reaching guide brimming with cash sparing tips for Disney World, including approaches to set aside extra cash at Disney's Magic Kingdom, Epcot, Disney-MGM Studios and Disney's Animal Kingdom. I find a very good website for the bbq franchise , If you want you can visit this site.